One should take the Opposition campaign– that paddy in Kuttanad was lost mainly because of refusal of the Kerala State Karshaka Thozhilali Union to allow the farmers to use harvesting machines, with a pinch of salt. Yet there is a grain of truth in that the heavy rains damaged the crop because some farmers could not harvest their crop earlier at some places because of Opposition from KSKTU. It is perhaps time that the CPI (M) and its Union decided which is its priority– the protection of the jobs of a decreasing number of agriculture workers in Kuttanad or long-term sustenance of paddy cultivation. What is at stake is clear from the government’s own initiative to enact a law for preserving paddy fields and wetlands. The State’s food security and environment will be jeopardized if paddy fields continued to be filled up. However, the trend cannot be reversed just by legislation. 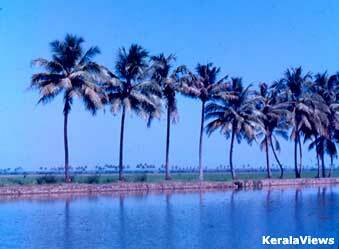 Otherwise, the existing Kerala Land Utilisation Order itself would have achieved the objective. The only was to achieve the objective is to make paddy cultivation remunerative and trouble free. Farmers would not be able to carry on incurring losses as a public service. If the government go ahead with its plans to punish farmers heavily for changing crops, that would only lead to genuine farmers selling their land. The paddy fields would ultimately land in the hands of the land mafia. They would be able to bribe the politicians and officials and circumvent the law to ultimately turn the fields into housing colonies, tourist centers and what not! There is little justification for the CPI (M) or its Union in standing in the way of mechanization. The party has virtually embraced capitalism. It is in its scheme of thinks that lesser skilled workers lose jobs to fewer numbers of better skilled workers. Skill upgradation is the key in modern day capitalism. Where that cannot be achieved, safety nets such as the Employment Guarantee Scheme should take care of the workers.